Recorded live on November 12, 2015 at El Teatro in El Museo del Barrio. First half of conversation. Second half available here. 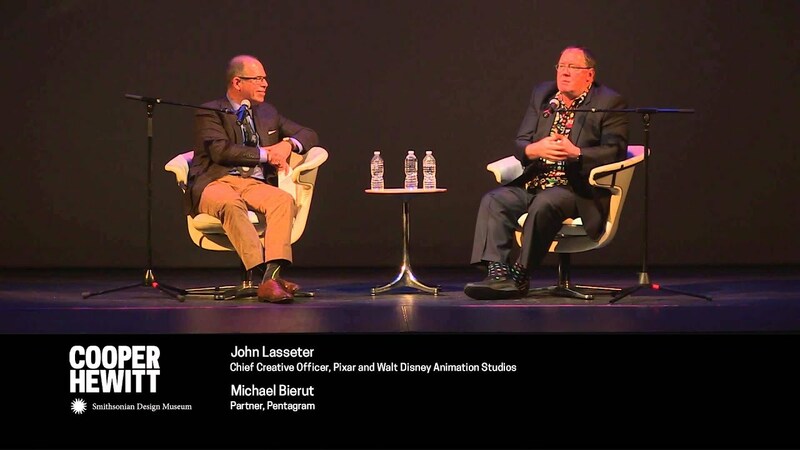 In this Design by Hand series talk John Lasseter discusses his career as an animator for the Walt Disney Studios, where he first experimented with the then radical new medium of computer-generated imagery (CGI). 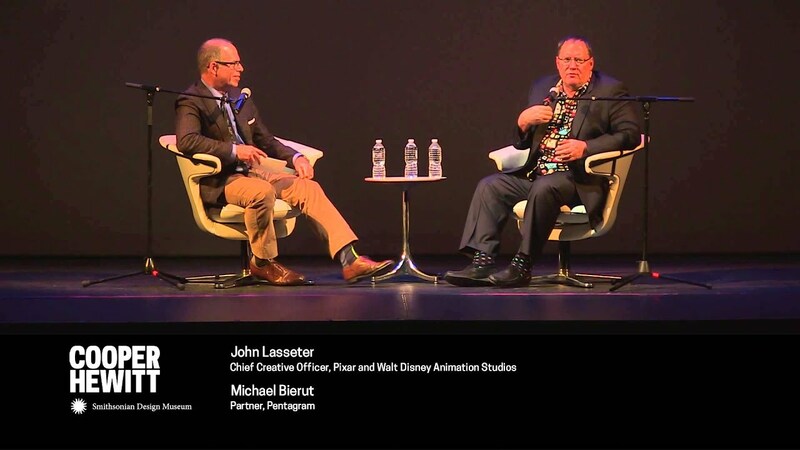 With moderator Michael Bierut, Lasseter recounts how in 1984 he joined the Lucasfilm Computer Division, where he animated one of the very first CGI films: The Adventures of André & Wally B. After the division was bought by Steve Jobs and renamed Pixar, Lasseter wrote, directed, and animated Pixar’s first short films, including Luxo Jr., now screening at Cooper Hewitt. Michael Bierut is a graphic designer, author, design critic, author, and educator. 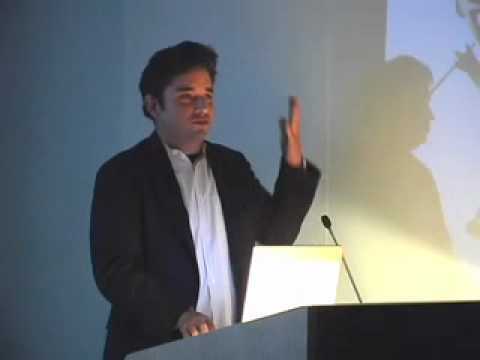 A partner in the international design consultancy Pentagram, Bierut was the recipient of the Cooper Hewitt National Design Museum’s Design Mind Award in 2008. The Design by Hand Series is made possible by the generous support of Van Cleef & Arpels. 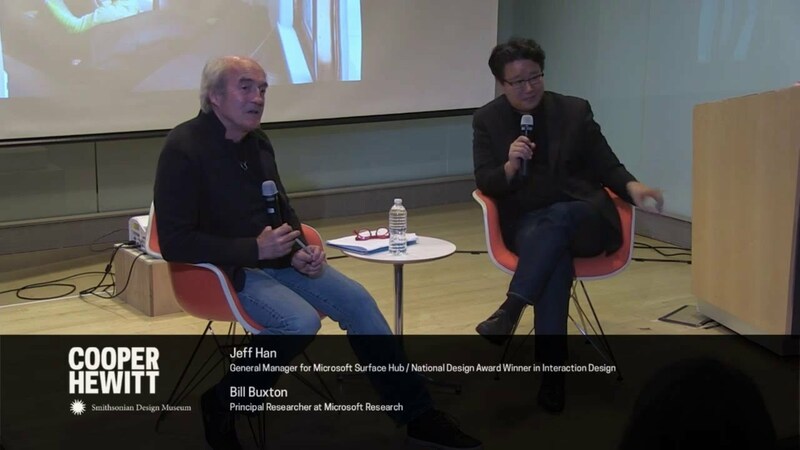 This talk given in conjunction with the Cooper Hewitt exhibition Pixar: The Design of Story.